Don't limit your team's ability to perform. Consider freeing up your best internal resources by using an outsourced team as an extension of your functional group. It’s certainly a challenge that most – if not all – companies face these days: which aspects of our business do we keep in-house, and which pieces do we outsource? And nowhere is that more of a challenge than within the regulated environment of the pharmaceutical industry. Unlike companies in non-regulated industries, companies who work in these regulated spaces not only have to be able to quickly respond to changing market needs and innovation, but they must do so in a way that ensures compliance with governing bodies like the Food and Drug Administration (FDA), adding a layer of complexity that can be challenging to manage and scale. So for these businesses, deciding what to keep in-house vs. what to outsource becomes even more critical and sensitive in nature. What happens when organizations insulate themselves from external resources? Responding to capacity issues that include increasingly large workloads presents limitations, forcing pharma companies to prioritize their work in ways that often lead to sacrifices in product development and, subsequently, time to market. These organizations cannot easily snap their fingers and get help quickly, so scalability is greatly limited. Another challenge that companies face if they keep all work in-house is the risk of insular thinking. We often find that seeking assistance from experts who have worked in the pharma space on multiple and varied projects can offer new points of view and experience that may not be as widely available internally. These experts can also serve as “coaches,” assisting the team when challenges arise. Your flexibility is hampered. We find that it’s often necessary for our clients to move resources to different areas depending upon the demand of the clinical trials that are underway, with frequent changes that occur during development. With enrollment potentially speeding up or slowing down, having access to external resources enables companies to be nimble and flexible, allowing for maximum productivity and scalability. You are constantly recruiting. By removing the responsibility of constant recruiting, hiring, and training, your internal resources can focus on mission-critical business. Outsourcing allows resources to be hired and trained with oversight, freeing up internal resources. It’s a lot harder to stay “cutting edge” and focus on innovation. Your organization might see opportunities to expand efforts beyond clinical trials. You might be considering operational improvements. But with a limited staff that must be entirely focused on clinical trials, it’s much more difficult to make these projects happen. With an external pool of highly focused, trained experts, you can tackle more things and focus on these innovations. What about the arguments against outsourcing? 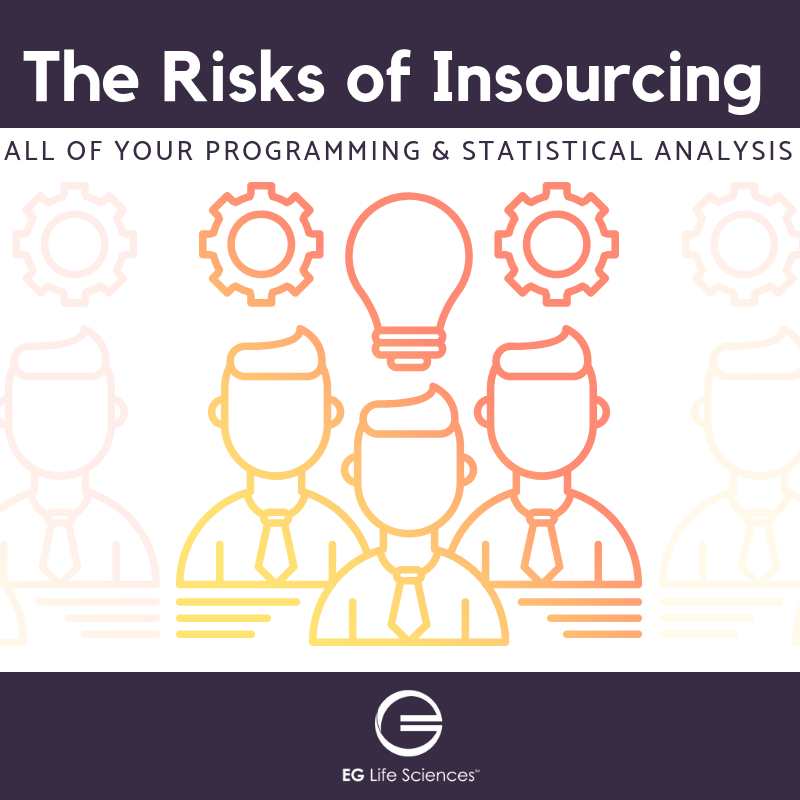 One of the main arguments we hear against outsourcing involves the perception of a loss of control. And we certainly understand the concern; it’s critical that the data is handled appropriately. That’s why it’s so important to work with those who are laser focused on functional expertise with deep experience in the pharmaceutical space, managing data for multiple and varied clinical trials. Ensure a successful outsourcing partnership. While there are various service models available to pharma companies, functional outsourcing that is based on a time-and-materials and a dedicated FTE approach is the best way to ensure that your outsourced team works as a true “extension” of your functional group. This partner should work closely with you from planning and inception to the design and execution of the functional outsourcing program. An experienced team that leverages the right model in combination with best practices will maximize desired results and will ensure a mutually rewarding relationship for all involved.